In this Feb. 16, 2018 photo, President Donald Trump gestures as he walks as he leaves the White House, Friday, Feb. 16, 2018, in Washington, for a trip to his private Mar-a-Lago resort in Florida. 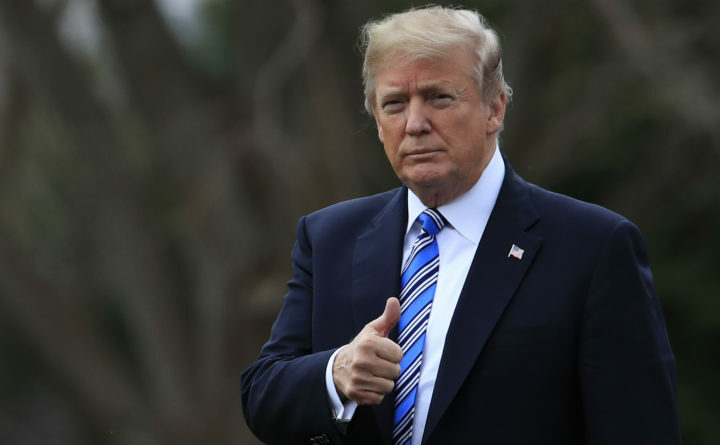 WASHINGTON — President Donald Trump is “in very good health” and expected to remain healthy for “the duration of his Presidency, and beyond,” the president’s doctor reported Friday following a physical exam that lasted nearly four hours and included 11 specialists. Trump was seen by a “panel of 11 different board certified specialists,” Dr. Sean Conley wrote in a brief memo released by the White House. Trump, 72, has visibly gained weight in recent years. He makes no secret of preferring a diet of red meat, fast food and sweets. He is not known to exercise beyond his beloved rounds of golf. He does not smoke or drink. Jackson reported that Trump, at 6-foot-3, was slightly overweight at 239 pounds last year. Jackson said Trump had a perfect score on a cognitive test.